AxiomSL is the global leader in risk data management and regulatory reporting solutions for the financial industry, including banks, broker dealers, asset managers and insurance companies. Its unique enterprise data management (EDM) platform delivers data lineage, risk aggregation, analytics, workflow automation, reconciliation, validation and audit functionality, as well as disclosures. 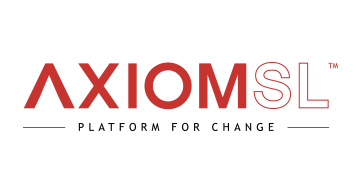 AxiomSL’s platform supports compliance across a wide range of global and local regulations, including Basel III capital and liquidity requirements, the Dodd-Frank Act, FATCA/CRS, EMIR, FRTB, COREP/FINREP, CCAR, MiFID II, FDSF, BCBS 239, Solvency II, AIFMD, IFRS 9/CECL, MAS, APRA, REMIT, SFTR, central bank disclosures, and both market and credit risk management requirements. The company’s technology and solutions have numerous accolades, including success in the Best Reporting Initiative category of the American Financial Technology Awards, Best Implementation at a Sell-Side by Incisive Media, and highest recognition in the Customer Satisfaction section of the Chartis RiskTech100 rankings.